A declamation speech is the term used to describe the re-giving of an important or famous speech. It could be a political, graduation or commencement speech, a eulogy, or a sermon. The speaker re-interprets the original, reproducing its power afresh. Often this exercise will be set as part of studying public speaking skills. The purpose is to have the student directly experience the power of masterfully crafted language. Through their interpretation the techniques and skills of the original orator are learned. In Toastmasters, the skills learned in giving a declamation speech are covered in the advanced Interpretive Reading manual: project 5 - The Oratorical Speech. 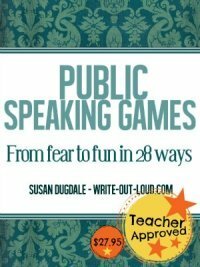 This method of teaching was used in ancient Greece where public speaking was considered a necessary art for anybody embarking on a career in public service. A declamation was a practice piece set by a teacher for exactly the same reason they are set now: to have a student learn the skills of combining eloquent language with equally eloquent delivery. 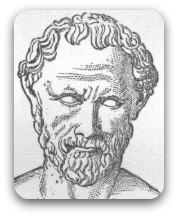 Find out more about the great Greek orator Demosthenes. The speech you choose is critical. Firstly, you must like it. There's no good to be gained from choosing something because you think it will please or impress your teacher and likewise, judges. You're going to work on this piece to make it your own. Therefore it needs to genuinely reflect you in theme and message. Style of language: Elevated, inspirational, elegant, poetic, masterful - the speech should be an example of 'beautiful' language and construction. Structure: Look for unity of purpose. The piece needs to be structurally coherent - have a beginning, development and close. It is not a loose ramble or collection of impressions without form. Theme: The message or theme running through it should be worthy of its oratorical treatment, ie. the style of language specified above. It must be important and applicable beyond the time it was first delivered. For example, Martin Luther King's 'I Had a Dream' speech has carried its theme down the years without any loss of potency or relevance. Impact: The speech must have reached and grabbed the hearts and minds of its listeners. It will have persuasively challenged and changed the way people thought and acted, uniting and inspiring them toward a common goal or course of action. If you're choosing for a competition before you make your choice be sure to review the guidelines and do take note of the allocated time. Be prepared to cut your selection to fit. Looking for just the right extract takes time. The links below are a good starting point. Keep going until you find something you know you'll feel wholehearted about. If you learn or memorize the text without understanding it your delivery will be empty - an ultimate talking head presentation. What was the occasion the speech was written for? What did they need or expect from the speech? Who was he or she? What delivery characteristics did they use? This is a Wikipedia page with ongoing links to the National Catholic Forensic League and the Theodore Gibson Oratorical Project. And here's a link to a set of excellent resources from forensicscommunity.com. 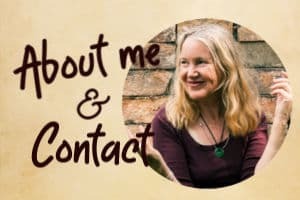 There is a wealth of information here: guides, a forum and links to videos. It's a must-look site if you're serious about performing to the best of your ability. - What does this speech mean to you? Can you put what is being said into your own words? The more you dig into the meaning of the piece, emotionally and intellectually, the more able you'll be to convey it convincingly. - Print the speech out in a clear font, double spaced. You will use the gaps to write yourself notes and mark it up for delivery. For example, putting in the pauses, or breath points, the places to soften your voice, increase the volume or for movement. - If you can, listen to original speech while reading your copy. Note how the voice is being used. What qualities are you hearing? Do they change for different portions of the speech? Can you hear a beat or rhythm? Listen until you can clearly identify changes in tone, pitch, and pace. The goal is not to impersonate the original speech maker. If you are working with one of Winston Churchill's war time speeches you don't have to 'become' him. However you do have to find and sincerely draw out the qualities of the speech making it memorable. That is your goal. 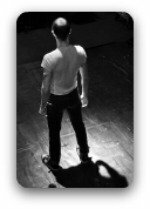 There are full guidelines here on how to rehearse here as well as tips for vocal variety, using pace and pause effectively as well as diction exercises to clear up any sloppy pronunciation issues. The action or art of declaiming; the repeating or uttering of a speech, etc. with studied intonation and gesture. A public speech or address of rhetorical character; a set speech in rhetorical elocution. 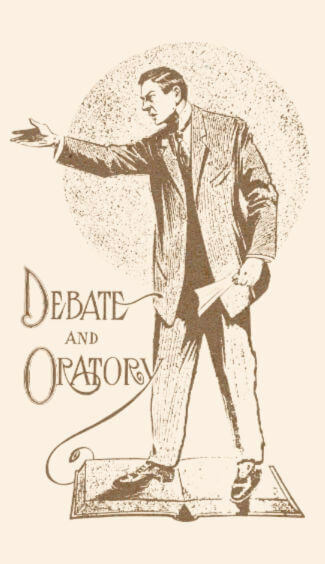 Declaiming or speaking in an impassioned oratorical manner; fervid denunciation with appeals to the audience. A speech of a rhetorical kind expressing strong feeling and addressed to the passions of the hearers; a declamatory speech, a harangue. Reference: www.wordinfo.info an etymological treasure trove.